Hey, y'all! 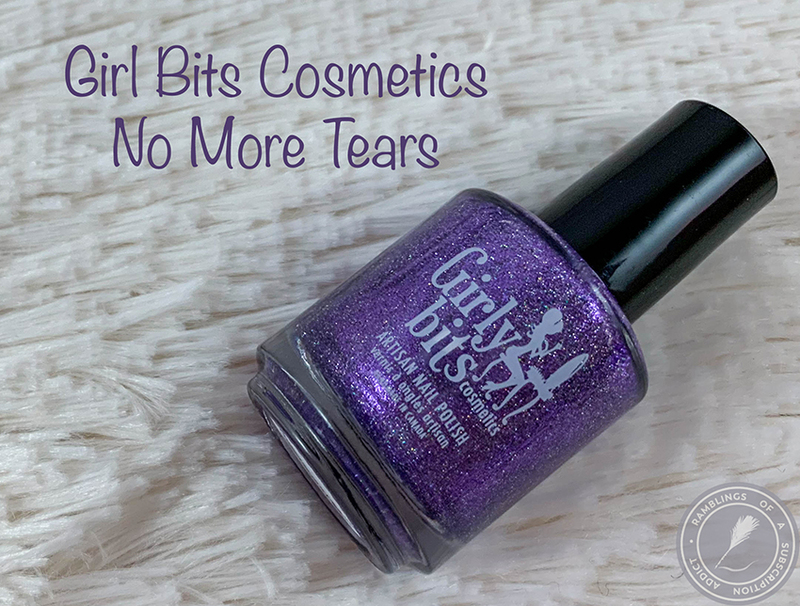 If you remember from my PPU post, I had the pleasure of trying out a Girly Bits polish for the first time. 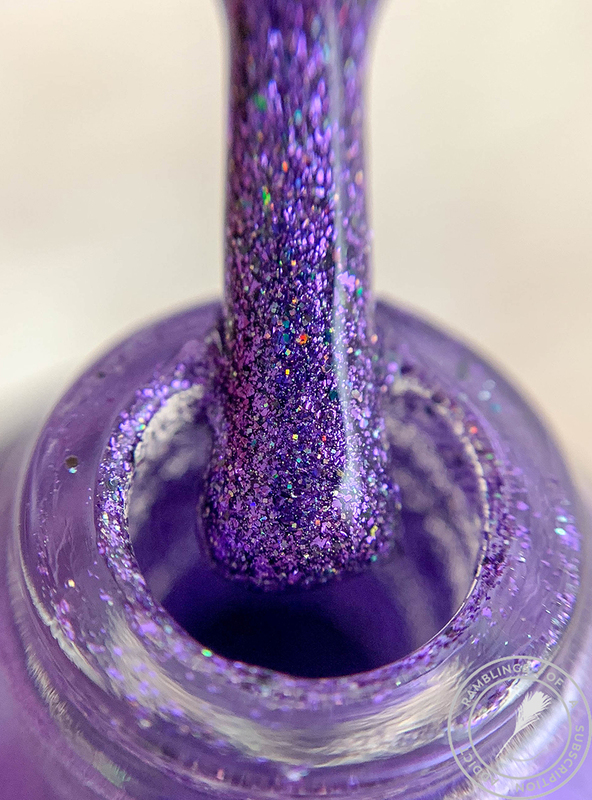 And when the maker asked me to review two other polishes of hers, I jumped at the chance! This one and Run into the Storm are both available right now and are part of her Concert Series Collection. No More Tears is $12.49 American. The Concert Series consists of shades inspired by bands that I have had the pleasure to see live in concert. It’s a colourful soundtrack of my taste in music. The two newest additions to the Concert Series collection is available here. 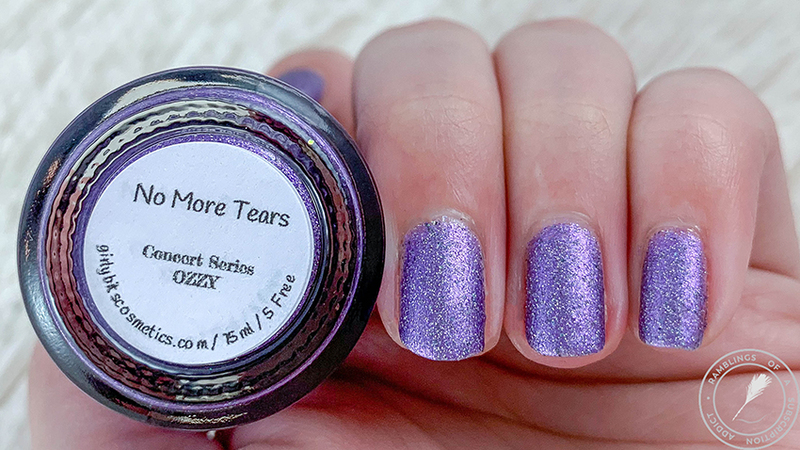 No More Tears is filled with a mixture of holographic pigment, silver and purple holographic micro-glitter and flakes. 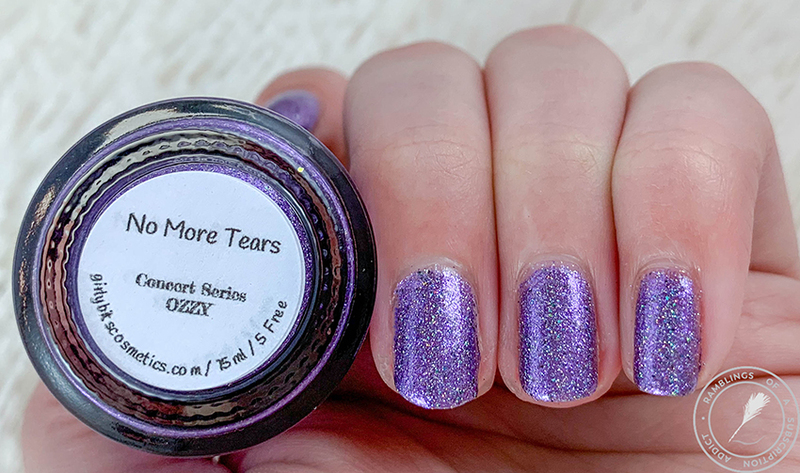 Inspired by Ozzy Osbourne, specifically his long purple sequined coat in the opening act, and No More Tears is one of my favourite songs. 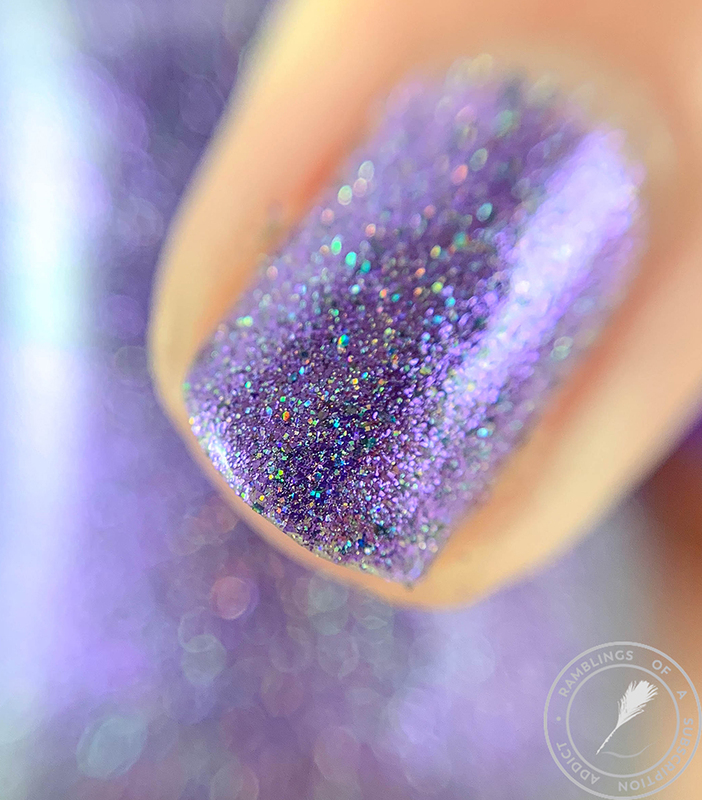 I love the sparkle in this polish. It's fun and bright (and difficult to photograph because of the sparkle). I'm also a huge fan of the inspiration. The application was easy and quick. I did have to use three coats but that was suggested for the polish so I knew ahead of time. It dried smooth and quick. I even love this polish matte. 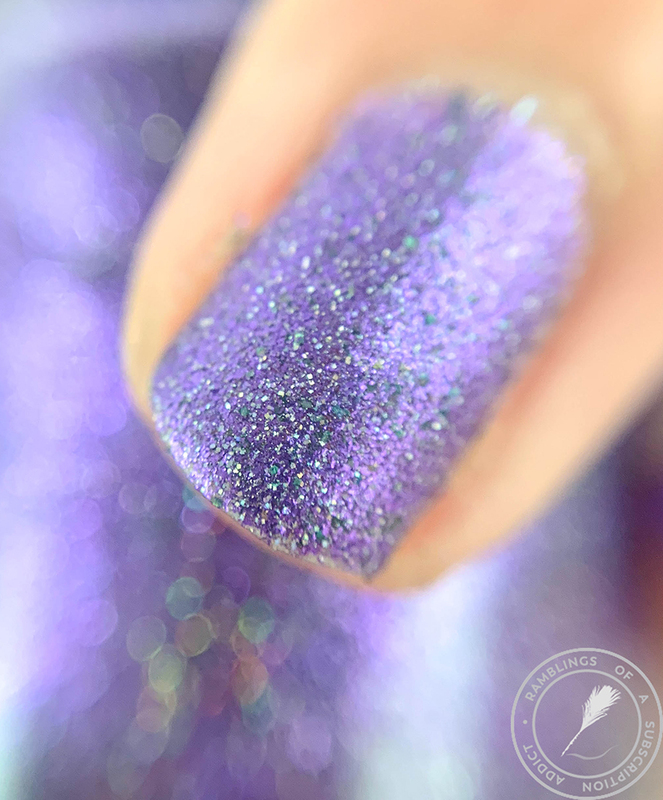 Sometimes super holographic polishes lose their luster when matte but with this one, I find it looks just as good!